Position requires a significant background in environmental science, and a background and/or interest in planning and GIS. Individual will work on regional planning for environmental issues under the guidance of an OKI Senior Planner. Summary: Under the direction and general supervision of the Senior Park Manager coordinates the daily maintenance and improvement of the grounds, playing fields, trails, pathways, lakes, ponds and buildings at various park locations as well as assisting with the preparations for special events utilizing such facilities as assigned. This is a working supervisory position and as such the Maintenance Crew Leader performs a variety of general-purpose duties and manual labor tasks related to the upkeep and improvement of park grounds, buildings, facilities, and equipment on a daily basis. Maintenance duties may include supervising staff, scheduling staff, purchasing supplies for, and performing or coordinating staff to perform: litter pick up, landscape development and upkeep, cleaning and maintenance of park facilities and public areas, mowing and trimming around park grounds as needed, assisting with parking and crowd control for special events and programs. Prepares and maintains park exterior and interior facilities for use by performing or assigning staff to perform duties such as cleaning, painting and routine maintenance of reservable areas, recreational equipment and fields, shelters, and park grounds adjacent to reservable spaces, common areas, storage rooms, and restrooms. Uses, maintains, and instructs others in the safe use of wrenches, pruners, trimmers, brooms, mops, vacuum cleaners, blowers, brushes, rollers, shovels, rakes, hammers and other common hand or power tools. Associates Degree in Parks and Recreation, Fish Management, Landscape Management, or related field OR two years of relevant experience. Previous grounds and building maintenance, and supervisory experience are required for this position. Ability to efficiently operate and teach others to safely and properly operate various types of grounds maintenance and/or construction equipment including, but not limited to: chainsaws, hedge trimmers, weed whips, tractors and bush hogs, lawnmowers, snow plows, blowers, skid loaders, water transfer pumps, chippers, graders, etc. Good character with no history of serious criminal activity (felony convictions) is required of all persons who are candidates for employment in this position or for employees currently working under the provisions of this position description. A valid driver’s license with an acceptable motor vehicle record allowing insurability by the park district’s current vehicle insurance carrier under existing coverage provisions at the time of employment and thereafter are also required. Candidates for employment may not have more than 4 total points (or equivalent penalty) issued by a recognized licensing authority for driving-related violations on his/her driving record at the time of employment. This is a part-time position that requires availability for a flexible and intermittent work schedule. Candidate must have ability to work in all outside weather conditions; wet and/or humid conditions, extreme cold (below 32 F degrees) and extreme heat (above 90 F degrees). Ability to work around various outdoor contaminants, such as pesticides, herbicides, and airborne and plant allergens. Some work assignments and tasks will require exposure to and work in inclement weather conditions. General good health and ability to perform the essential functions of this job. While performing the duties of this job, the employee may be required to sit, stand, walk, use hands to finger, handle or feel, reach with hands and arms, climb or balance, stoop, kneel, crouch, talk or hear. The employee may occasionally lift and/or move up to 50 pounds. Specific vision abilities required by this job include close vision, peripheral vision and ability to adjust focus. Ability to effectively, efficiently, and safely complete assigned tasks in a timely manner is all also required for this position. Summary: Performs general financial record keeping duties which may include payroll, ledger reconciliation, and journal and budget entries/transfers. Also includes assembling budgets and internal and external reporting in a manner consistent with State regulation and MetroParks fiscal officer’s policies and submitting to Manager of Financial Services for review. Closing Date: 4:00 p.m., March 12, 2019. To be considered for the position, a resume and a completed application must be received by this date. Assembles organizational budget, gathers information, establishing schedules and formats as are required to utilize accurate information and in compliance with Administrative directives, policy Board actions, organizational objectives, and State law. Analyzes budget and makes recommendations to Manager of Financial Services to take forward within the organization. Acts in an advisory role in regard to organizational debt management and bond issuance to ensure the most efficient use of debt capacity and financial resources. Prepares weekly, monthly, quarterly and annual financial reports that are accurate and consistent for the Board of Park Commissioners and other reports as requested by the Executive Director and/or Division Heads. Takes initiative in developing and providing financial reports as needed. Reports to be compiled include weekly internal management reports, monthly Board reports (excluding Donation and Employee Report), annual Tax Budget, annual Budget, annual State Auditor reports., and annual Gifts/Grants/Donations/MetroBucks reporting, as well as periodic reports required to the National Park System and/or other reports as assigned. Reports to be submitted to Manager of Financial Services for review in a timely manner. Facilitates the maintenance of current and accurate accounting records by posting budgets, transfers, and journal to ledger accounts. Includes balancing and reconciling ledger monthly. Periodically sees to the making of hard copies and backups of electronic records of all cash account journals and other financial data. Compiles bi-weekly unit reports for staff in order to stay aligned with the budget. Compiles cash flow projection data gathered by Manager of Financial Services, which is to be based on present conditions. If requested, will provide projections based on alternative scenarios. Provides accurate and current revenue generation and expenditure account free balance reports by MetroParks department, zone, and/or division to Administration, Division Heads and others. Monitors appropriations and free balances and suggests and prepares account and fund transfers (budget modifications) to Manager of Financial Services. Completes transfers as instructed in an accurate and timely fashion. Serves as a key advisory staff to Manager of Financial Services and other staff as required and assigned. Ability to maintain confidentiality on sensitive issues and non-public records. Ability to maintain a professional, cooperative working relationship with other staff members,volunteers and the staff of other agencies. Ability to meet and deal with all members of the general public in a professional, helpful, civil and fair manner, and serve as a goodwill ambassador for MetroParks of Butler County at all times. Ability to operate personal computers, scanner and common office equipment. Ability to follow MetroParks policies in Employee Guide and other policies as applicable. A Bachelor’s Degree from an accredited college or university in accounting, finance, business administration, or another closely-related field and at least five years’ accounting experience at a local political subdivision or state agency or alternatively the qualifications listed below as Preferred Education and Experience. Knowledge of federal and state administrative law, regulation and procedure governing accounting and finance, information and technology systems within public organizations. In-depth interpersonal skills: demonstrated emotional intelligence;proven track record of establishing and maintaining critical relationships internally and externally; demonstrated trust and integrity. Computer proficiency: understanding and proficiency in operation of business information systems and accounting software programs. Excellent verbal, written and presentation (public speaking) communication skills. Ability to exemplify the highest ethical standards in professional and personal conduct. Good character with no history of serious criminal activity (felony convictions). Eligible for bonding against dishonesty and theft by MetroParks’ current liability insurance carrier under existing coverage provisions at the time of employment and thereafter. A valid driver’s license with an acceptable motor vehicle record allowing insurability by the MetroParks’ current vehicle insurance carrier under existing coverage provisions at the time of employment and thereafter. Candidates for employment may not have more than 4 total points (or equivalent penalty) issued by a recognized licensing authority for driving-related violations on their driving record at the time of employment and thereafter. Master’s degree from an accredited college or university in accounting, finance or business administration or another closely related field and at least three years’ accounting and administrative experience at a local political subdivision, state agency, or nonprofit organization or valid CPA status. This position is a part-time, non-exempt position that is generally in an office environment. Scheduled hours will vary as reporting needs require. While performing the duties of this job, the Budget and Financial Reporting Analyst is regularly required to stay in a stationary position, to traverse in an office/indoor environment, and to converse effectively. This employee may occasionally move up to 25 pounds and manual dexterity to sufficiently and effectively operate common office equipment is also required. Reasonable accommodation will be made for known physical limitations of qualified employees and applicants with disabilities. Sol design + consulting, a leader in green building consulting and certification, is looking for a versatile, energetic professional with strong organizational skills to manage green certifications on a variety of projects out of our Cincinnati office. Specific responsibilities include plan review and analysis, on-site inspections, testing and documentation. Meticulous evaluation, tracking and maintenance of certification data and documents throughout the course of projects is an essential requirement of this role. The position can be at a coordinator or a project manager level, depending on experience. Sol is a growing business with learning opportunities and room for advancement. Work on multiple projects in multiple green certification programs including LEED, Enterprise Green Communities, ENERGY STAR, Passive House and other programs, often on tight deadlines. Review drawings and specifications to verify that sustainable measures are incorporated. Extract accurate dimensions and data from project drawings for energy model input. Conduct construction site inspections and energy performance testing. This can require one or two travel days per week, and overnight travel about two nights per month. Collect and organize all required documentation for certification from the project design and construction team, clients and other sources. Pitch in to help colleagues and clients as needed in our small, rapidly growing business. Degree in Architecture, Architectural Engineering, Mechanical Engineering, Civil Engineering, Construction Management or equivalent. 1-3 years or more of experience in building design, construction or energy rating/consulting. Strong AutoCAD, Revit, SketchUp or other 3D design software skills. Aptitude for interpreting architectural drawings and construction specifications. LEED Accredited Professional, LEED Green Associate, RESENET HERS Rater, BPI certification, NAHB Green Verifier certification preferred. Ability to effectively communicate technical and program concepts in written and verbal form to people at all levels. Sol design + consulting specializes in energy efficiency and green building certification services for multifamily and commercial developers, owners, builders and architects. Sol provides comprehensive green building services: certification guidance and documentation, energy modeling, testing and verification. We are a LEED for Homes Provider, and also work in ENERGY STAR, Enterprise Green Communities, NAHB National Green Building Standard, Passive House, Living Building Challenge and other state and local green certification programs. The Sol team is a diverse group of architects, energy specialists and construction professionals committed to excellence in green building and bringing value to our projects. Our key point of differentiation is over 30 years of professional design and construction experience we bring to green building consulting. Sol has completed more than 250 certification projects in 15 states internationally. You can learn more about us at www.soldesignconsulting.com. A professional writing sample (1-3 paragraphs) in your email body about what attracts you to this position and how you think you will benefit our firm. At least two professional references. Local Food Connection is seeking an Analytics intern who would like to understand the local food economy. This position is for analytical and quantitative individuals interested in data analysis. The goal is to analyze our farm supply and help plan for future demand. The goal is to improve our farmers' ability to predict future crop needs. Local Food Connection connects local chefs, institutions and households to local farmers and food artisans from across the region. We provide marketing through an online marketplace and crop planning process and the logistics of aggregation and first mile to last mile delivery. Located in Newport KY, we currently serve the Dayton, Cincinnati, Lexington and Louisville markets. You can learn more at www.localfoodconnection.net. Compensation: Stipend available depending on experience level. Please send your resume and cover letter to alice.foodconnection@gmail.com. Local Food Connection is seeking a Delivery intern interested in understanding the local food economy. We need someone that is good with people, has a good driving record, likes to interact with farmers and chefs, and doesn't mind physical work. The work involves delivering premium, just harvested product that chefs love to receive. Some physical lifting required (up to 50 pounds). Local Food Connection is currently seeking an intern interested in learning about logistics and food safety standards and how they affect the food system. We need someone passionate about working with farms and our team to help structure and fine-tune our repacking and food safety processes. We require individuals that like to be organized, like to work with details, and are self starters. Some physical lifting required (up to 50 pounds). Complete a 10-15 week program on Kroger’s energy team to assist in several areas, including lighting, incentives, solar, motors, ENERGY STAR, maintenance and other assigned tasks within Facility Engineering - Energy. Role model and demonstrate the company’s core values of respect, honesty, integrity, diversity, inclusion and safety. Work with energy engineers and management to assist as needed in various projects to implement corporate strategies. Participate in weekly department meetings. Complete specific internship assignments, as requested. Complete cumulative project (summary of internship accomplishments) and present to executive team or appropriate managers. Competency in Microsoft Office Suite (Word, Excel, PowerPoint, Outlook, etc.) and basic engineering tools. Raptor Inc. has an unique opportunity available for an environmentally-conscious individual who would like to live on-site in our cabin at our raptor facility in Milford. For providing 6 hours of work a week feeding our raptors, the tenant would receive a discount on their rent. 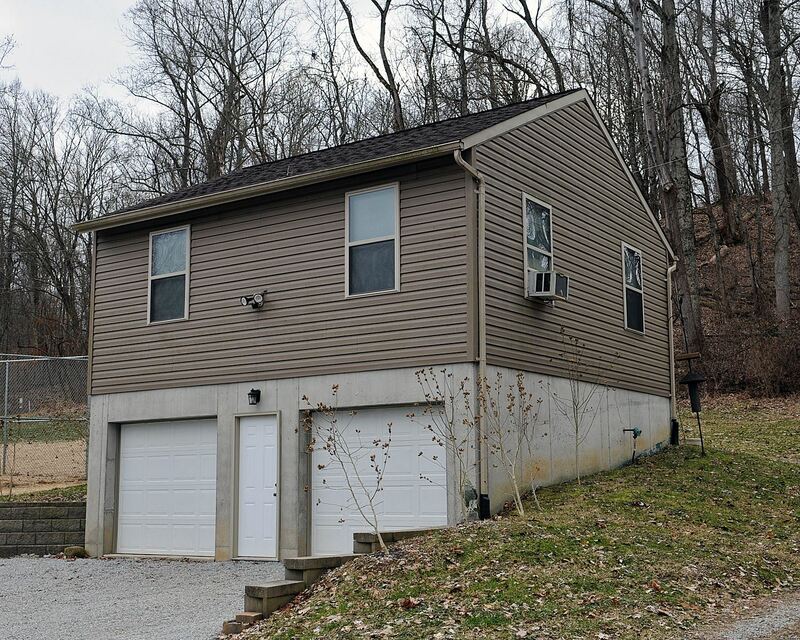 The small, 1-bedroom cabin is located on the RAPTOR center grounds, close to both the Cincinnati Nature Center and Eastgate Mall. This is a unique opportunity for someone (non-smoker) without children or pets, and it comes with some limited work responsibilities including feeding the raptors during the week. If you are interested, contact Cindy at raptor@raptorinc.org. The mission of the Campbell County Conservation District in accordance with state statute is promoting the care and stewardship of the land, water, and other natural resources within the district and serving the people by encouraging the use of Best Management Practices, and promoting the importance of agriculture to the culture and economy of the county. To further these efforts, the district provides technical and financial assistance, information, and education throughout the county. The Campbell County Conservation District has one temporary position available. This position is for 15-20 hrs/week for a maximum of 360 hours. Position date between May 20 – August 16, 2019. Hours: Monday-Wednesday-Friday, 8:00 a.m. – 4:00 p.m. (Tuesday and Thursdays by appointment) 30 min. lunch break – unpaid; one 15-minute rest period for every 4 hours worked, paid time. Hours to be set within the normal operating hours of the districts at time of employment. May also be requested to attend and/or assist with meetings, events or programs during evening and weekend hours. Schedule flexible. Hourly Salary and Benefits: Starting salary $10 per hour, paid bi-weekly. No benefits are provided. Employer pays employer portion of Social Security and Medicare and withholds and deposits local, state and federal income taxes as required. District Intern will assist the District Coordinator in activities that support the work of the Conservation District.